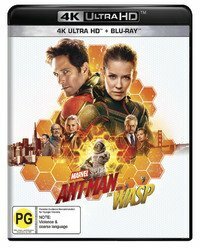 ➢ “Ant Man and The Wasp is presented on 4K UHD courtesy of Disney Buena Vista with a 2160p transfer in 2.39:1 … The 2K DI attains significant new detail levels in this 4K UHD presentation. Kind of interestingly, however, these detail upticks are attained despite what is overall to my eyes a somewhat cooler looking palette throughout this 4K presentation …. Audio also has none of the problems some previous Disney/Marvel offerings have had, though I personally would have liked more consistent engagement of the Atmos channels.” — Blu-ray.com. ➢ “This is a richly detailed transfer, highlighting the honeycombed gilver (gold and silver) of The Wasp’s suit, the intricate backgrounds of Hank’s lab, as well as facial features like wrinkles on Michael Douglas’ face. Colours are vivid and natural, with lots of reds that never bleed or show signs of banding. Contrast is exceptional … LFE is fairly solid throughout, emphasising many of the miniaturisation and enlargement sound effects. Although sounds are more precisely placed within the listening environment, heights are used rather sparingly.” — Home Theater Forum. 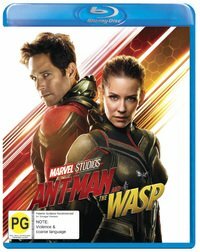 ➢ “Ant-Man teams up with the Wasp on Blu-ray with a gorgeous, reference-quality 1080p/AVC MPEG-4 encode, showing lots of razor-sharp details in nearly every scene … the freshly-minted transfer also debuts with spot-on, pitch-perfect contrast, showering the picture with crisp, resplendent whites and outstanding visibility into the far distance. Blacks are inky rich and luxurious with dark, stygian shadows that penetrate deep into the screen without sacrificing the most minute detail, providing the image with an appreciable three-dimensional quality.” — High-Def Digest. 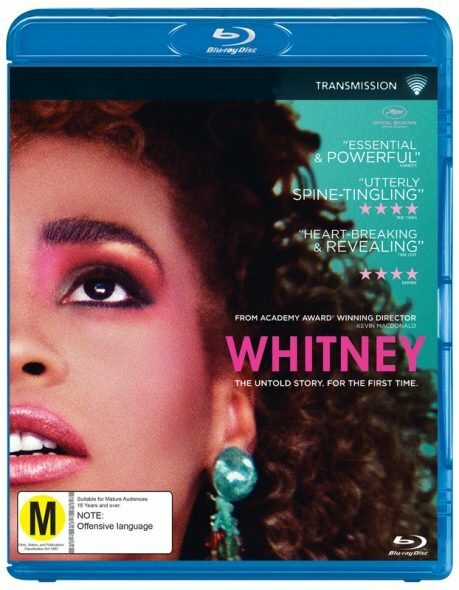 ➢ “Whitney is presented on Blu-ray with an AVC encoded 1080p transfer in a variety of aspect ratios, mostly due to a glue of archival video, but with all of the new interview segments and many of the still photographs in 1.85:1. As typically happens in a documentary cobbled together from such a wide variety of source elements, quality is widely variant … Nothing is unwatchable by any stretch, but there’s a certain heterogeneity to this presentation that has to be accepted, and which actually should be welcomed, given the relative rarity of some of the footage presented here.” — Blu-ray.com. ➢ “As for the DTS-HD MA 5.1 soundtrack of Whitney, its reliance on music made it a little livelier than I’d expect from a documentary. Songs were a constant companion, and they spread to the side and rear speakers. Stereo delineation was positive and the overall soundfield seemed more than acceptable.” — DVD Movie Guide. ● Also new on Blu-ray are a remastered The Quiet Earth, Next of Kin, Scorched Earth (“a slick, clear, clean digital image”), Superfly (“rather good video, impressively large and aggressive audio”), Voodoo Lounge Uncut and a slew of TV series: Big Pacific, The Crown (S2), Agents of Shield (S4), Preacher (S3) and Once Upon a Time (S7). Being re-issued on 4K-UHD are a box set of Transformers (1-5) and Wreck-It Ralph.